Originally considered as the location of the “summer White House” that year, Swannanoa Country Club, near Afton, became the site for the President’s and Mrs. Coolidge’s Thanksgiving stay in late November through early December 1928. 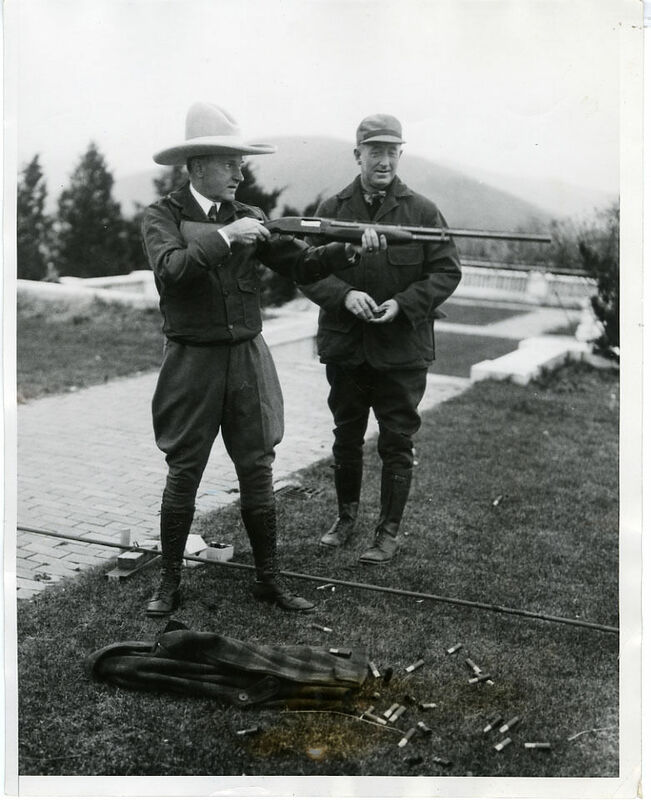 Decked out in his ten gallon hat, presented to him by South Dakotans the summer of ’27, with his green mackinaw jacket given to him that summer by the people of Wisconsin, completed with a pair of hunting breeches and high-laced boots, Coolidge is ready for the next round of trapshooting. Here Coolidge is back in Swannanoa from an unsuccessful quail hunt outside Stuarts Draft on December 1, trapshooting 19 out of 25 traps. It was on his way back from hunting that he noticed a young lady struggling under a heavy load as she walked up a steep hill. He ordered his driver to stop and the Secret Service accompanying him to offer the car, asking whether they could drive her wherever she needed to go. The young lady was so petrified that she ran down a side road and “escaped” the President’s kind gesture. 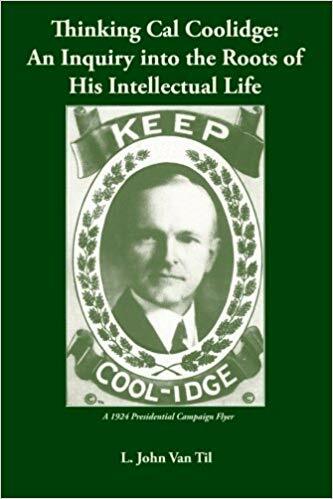 Nevertheless, the stay was enjoyed by both Coolidges and would eventually lead to his proposal the following year to set aside a country retreat for future Presidents that enabled them to escape from the world of Washington and, out in nature, reconnect to America and reality. While Swannanoa was suggested, President Coolidge chose a location closer to Washington and thus less costly to maintain, the hill country of Bluemont, fifty-five miles southeast of the nation’s capital. Hoover dissatisfied with the limited fly-fishing prospects did not enjoy the site. 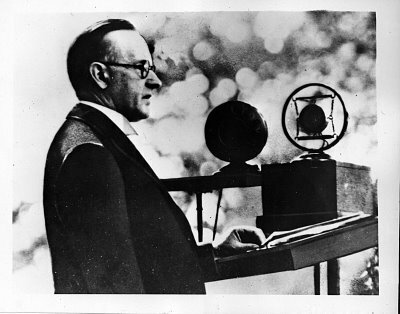 As Mr. Carthon Davis notes in his fascinating piece on Coolidge’s stay here, neither did FDR, who selected a new spot in the Catochin Mountains of Maryland dubbed “Shangri-la,” renamed ten years later, “Camp David.” As Davis observes, however, it all started with the successful visit to this beautiful state in 1928, with Coolidge among the quail, traps and hospitality of Virginians. Please let me know if you’re looking for a author for your weblog. You have some really great articles and I believe I would be a good asset. If you ever want to take some of the load off, I’d absolutely love to write some articles for your blog in exchange for a link back to mine. Please shoot me an e-mail if interested. Thanks! Do you mind if I quote a few of your posts as long as I provide credit and sources back to your site? My blog site is in the very same area of interest as yours and my users would truly benefit from a lot of the information you provide here. Please let me know if this okay with you. Many thanks! That would be perfectly okay with me. Thank you!